As they say, first impressions count so it’s no surprise that your wedding stationery for a winter wedding is hugely important. The ideal opportunity to set the scene for your special day and offer your guests a glimpse into your theme and colour scheme, it’s your chance to share a peak of one of the most important occasions in your life. As soon as your save the date cards and invitations land on your loved one’s doorsteps, both you and your guests will start feeling excited and everything will become very real. So, understandably you want your stationery to be the perfect fit for your celebration and reflect your style. To help inspire you, we’re chatting to 5 fabulous UK wedding stationery designers about their favourite designs for weddings taking place in those crisp, cold months. It’s time to festive! 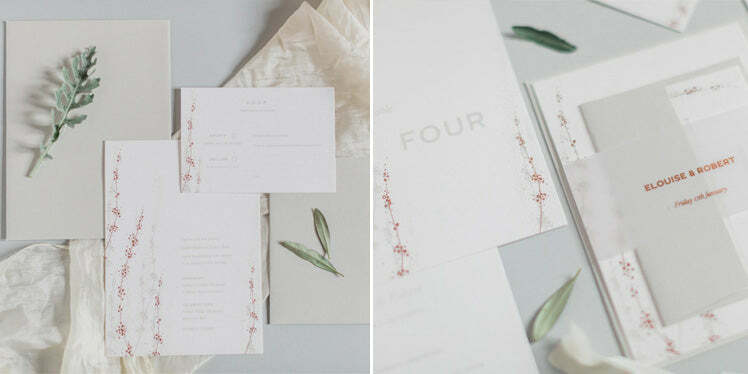 An artisan print studio with a romantic soul, Rosie of Inkflower Press has an elegant style inspired by nature. 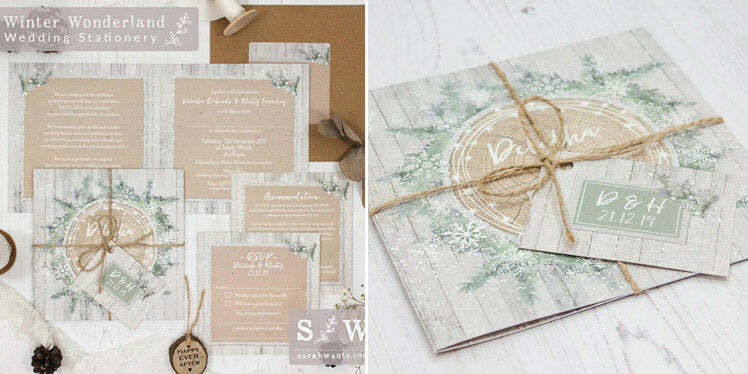 Inspired by the wild and whimsical, Sarah Wants creates rustic wedding stationery that will capture the heart. 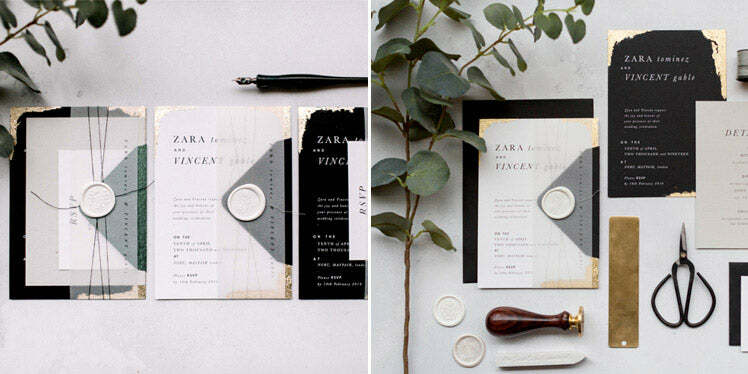 When it comes to creating wedding stationery for the style-conscious couple, Dimitria Jordan certainly knows a thing or two. We can’t get enough of the Skylar collection – it’s the perfect match for this enchanting season with its contemporary skyline. 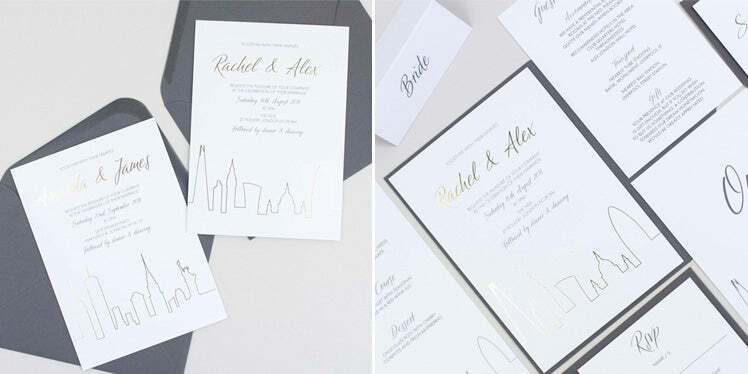 Huge fans of Paperknots and Lisa’s luxurious wedding stationery, we are truly smitten with the Modern Mono design. 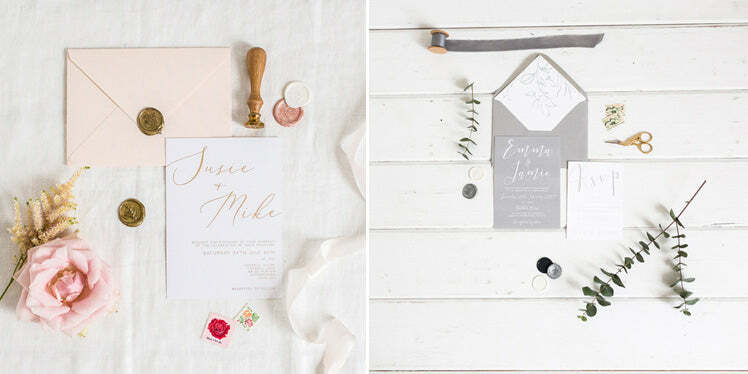 Whether you’re tying the knot with a classic or festive theme, we hope these super talented professionals have helped inspire you on your big day planning journey to find the most beautiful invitations. A huge thank you to each stationer who has shared their creations and advice with us to show how modern brides can achieve the perfect style for the season.